Professor Discusses Increase in Conspiracy Theories in the U.S. According to Miami University professor Timothy Melley, belief in conspiracy theories is on the rise in the United States. 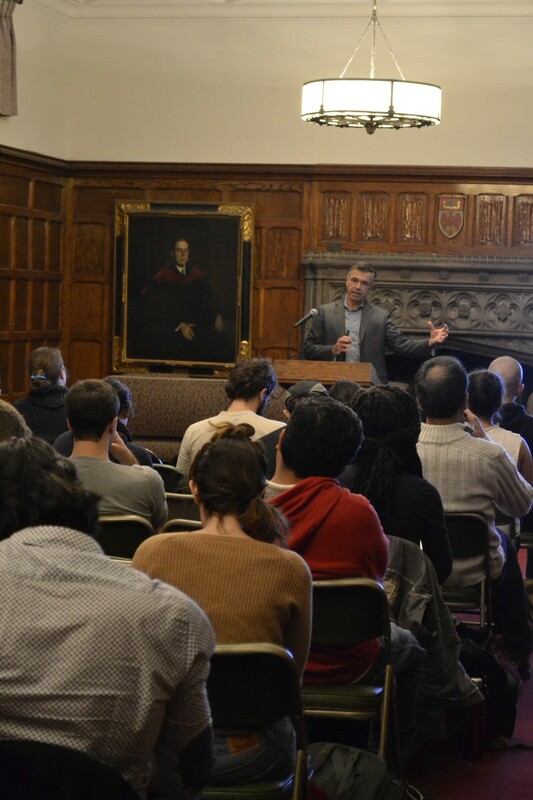 Melley, a professor of English and the director of the Miami University Humanities Center, led a discussion on Thursday in Swift Hall entitled Conspiracy Narrative and the Epistemology of Security Society. This paradoxical relationship between maintaining security and maintaining bureaucratic transparency, he said, is what ultimately “provides fertile ground for conspiracy narratives and conspiracy thinking.” Melley said that citizens are aware that concealed information exists, but cannot know exactly what that information is. This affects the way people think and how they respond to knowledge given to them. “We are all aware of the things that we cannot be aware of. And that is a very strange and powerful thing to know and be obsessed with,” he said.